That's imageshack... is it visible? The Cook the Thief His Wife & Her Lover (1989)? Yes, that's a picture of the the eponymous wife and cook. Well done! Not sure if anyone has seen this one. Did you catch it on TV aswell? Bah! I was hoping Gilliam & Greenaway would lead this thread in an art-house direction, and away from horror films I haven't seen. 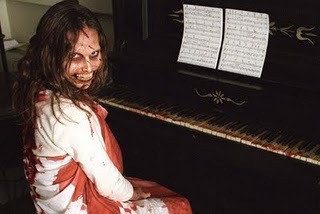 Well I'm just such a horror fan! But I'll try a different genre next time. 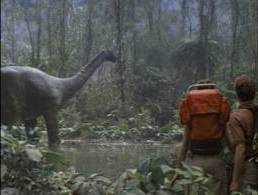 The great thing about that movie is that the dinosaurs they find are brontosauruses. That makes the movie double fiction! Anyhoo, here's the new movie to be guessed in far too short a span of time. I think it's either Catch 22 or Top Gun. I can't recall a movie with aeroplanes that didn't have such a similar still. Wrong and wrong. And who says the pilot is in an airplane? It looks like Roy Schieder, so my guess would be Blue Thunder. I have no idea what that movie is.